Pittsburgh, PA, October 18, 2016 – SportGroup Holding, today announced that it has acquired Pittsburgh-based ProGrass, one of the nation’s leading brands of artificial turf. 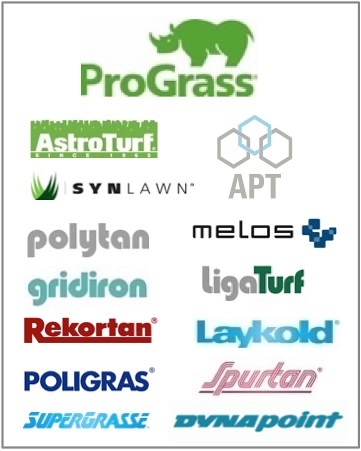 By adding ProGrass to its existing portfolio of companies and brands (which includes APT, Astroturf, Melos, Polytan, Poligras and Rekortan), SportGroup expands its North America presence and further consolidates its position as a global leader in the sport surfacing market. The acquisition will strengthen SportGroup’s proven combination of its worldwide existing contractor network and directly targeted activities to new levels for the better of the industry. SportGroup, founded in 1969, is the world leader in artificial turf systems and running tracks, with over 1,000 employees and $375 million annual revenue (2015). The company operates in more than 70 countries, maintains production plants in Europe, North America and the Asia-Pacific region and has manufactured and installed more than 7,000 fields and 16,000 tracks including the Olympic games and international venues. ProGrass will expand on bringing SportGroups products to their clients, which are manufactured in the United States in fully vertically integrated, advanced manufacturing facilities. In addition, all employees will remain with the organization, providing stability for its clients. SportGroup will honor existing and future warranties on ProGrass installations in North America. For over a decade, ProGrass, a Pittsburgh-based manufacturer famous for its nationally known “Rocky” Mascot, has provided America’s finest synthetic turf solutions for every level of performance demands through innovative product development, design-build services, project management, construction, installation and proactive maintenance. The company has built its success on the principles of Excellence, exceeding industry standards, Professionalism, committed to the highest standards of ethical conduct and Teamwork, valuing all of our employee’s talents, skills and abilities. To learn more, visit www.prograssturf.com. SportGroup is a global market leader of outdoor sport and recreational surface systems. SportGroup installs artificial turf fields and tracks and manufactures all system critical components in-house. SportGroup has three main product groups (artificial turf, tracks and playground) used in a variety of applications. The business benefits from its unique system competence, leading technology and a strong market position, especially in Germany. For more information, visit www.sportgroup-holding.com.